Monte and I took another road trip at the end of February. Some stats: 10 nights & 11 days on the road, nearly 3,000 miles driven, over 1000 photos taken, 2 states visited, 18 holes of golf played, 3 birthdays celebrated, 5 relatives thoroughly enjoyed, my 1st ringer in a game of horseshoes, and 25 new lifer bird species seen! It was a fantastic trip. The only downside is that Monte picked up a cold somewhere along the way, so he’s laying low for a few days. Susanne flew to Austin to drive with us to Tucson. Though I have been to Tucson many times for work, I guess I never took the time to enjoy the place. It is really beautiful. And late-winter was a terrific time to visit. – Arizona-Sonora Desert Museum: an outdoor museum showcasing the diverse ecosystem of the surrounding desert, and its teeming flora and fauna species. Simply an amazing destination, with so much to see. I will do this again next time I’m in Tucson. The beauty of the desert – cholla, ocotillo, prickly pear, saguaro cacti, and more! – Saguaro National Park (the western Tucson Mountain district location): saguaro cacti for miles. MILLIONS of them. An informative visitor center. Also some very nice petroglyphs at Signal Hill, only a short hike off of the Bajada Scenic Loop. – Catalina State Park: a lovely park at the base of the Catalina Mountains. Lots of nice hiking trails and many of my lifer birds were seen here. – Mission de San Xavier del Bac: a national historic momunent, it is the oldest in-tact Spanish colonial structure in the Americas, built in the late 1700s. It is still a working parish church, serving the Native American Tohono O’odham nation, on whose reservation it resides. An informative free tour gave us an overview of the history of the Spanish, the native Indians, the Mexicans, from the 1700s through today. We wanted to see one historic mission, and decided to do this one instead of the Presidio downtown. I’m glad we did. Exterior of Mission de San Xavier Del Bac, the interior is full of colorful murals. Susanne flew home after we all had a nice visit with her. And after a week, we bid adieu to Gene & Jo (and Dan & Patrick, who were also visiting) and took off on a loosely-planned trip home, on a northern route instead of the southern one we took on the way west. Taking an I-40 eastern route home also gave us several opportunities to drive along portions of the Historic Route 66 (and, yes, we played the song when we did). 1) Grand Canyon National Park: neither of us had been there before. The park needs no introduction, so let me just say it is all that it is cracked up to be. And again, late winter was a wonderful time to see it with a minimum of crowds. The park has a really well thought out visitor center, shuttle bus system, and easy to hike trails that run along the rim of the canyon with stunning views. The Yavapai Geology Museum is another must-see inside the park, along the rim trail. We had originally planned to make the park a quick stop, spending 2-3 hours there tops, and then head back down to Flagstaff to continue our trip east. But as we were driving there, I decided to check out lodging options in the park. I figured it was a long shot, but since we had to stay somewhere overnight, the park would be a much cooler place to stay than somewhere off the interstate. I am SO glad I checked it out, because we were able to book a cabin at Bright Angel Lodge for that night RIGHT ON THE RIM of the freaking Grand Canyon! What a treat. And so we did spend much more than 2-3 hours exploring the park. I’m so glad we did. The view from our cabin… less than 50′ from the edge of the Grand Canyon! And a view from another vantage point along the Rim Trail. Simply beautiful. 2) Meteor Crater Natural Monument: a hole in the ground about a mile across. Formed by a meteor that fell to the earth 50,000 years ago. It’s only 5 miles off of I-40. The admission was (relatively) steep, compared to other tourist sites ($18 per person), but we knew that going in, and still just really wanted to see the crater. It’s been on Monte’s bucket list for a while. The raised rim of Meteor Crater, viewed from about 2 miles away. And, a look inside the crater, 3/4 mile wide over 500′ deep. 3) Staircase of Loretto Chapel in Santa Fe: a spiral staircase in a 1880s-built Gothic chapel, with a mysterious legend regarding how it was constructed, and by whom. Another last minute hotel search turned up a simply lovely location right next door to the chapel, the Inn & Spa at Loretto. Yes, a staircase is an odd reason to visit Santa Fe, as there is so much to see and do there, but that was what took us there. Our drive brought us into Santa Fe after dark. The original plan was to stay one night, see the staircase at 9AM, and then proceed immediately east for the 11-hour drive to Austin. Once we got to our luxurious room, and saw the private patio (which alone was bigger than my first apartment! ), and thought of all the things we could do to fill a day in Santa Fe, we extended our stay another night. Again… awesome! After another long day of travel, we enjoyed a really delicious dinner and bottle of wine at the hotel’s restaurant, Luminaria. The next day we ate breakfast at the Palacio Cafe, walked through the Cathedral of Saint Francis of Assisi, finally saw the staircase in the Loretto Chapel :), walked through the historic district, then made a bee-line for the Gruet Winery tasting room in the lobby of the St Francis Hotel. Then we visited a lovely park, the Randall Davey Audubon Center & Sanctuary, just 2 miles east of downtown and took in another hour or so of birding. More lifers! On the way back into town, we picked up a baguette and some nibbles to go with the bottle of champagne we’d picked up at the winery, and enjoyed a late lunch al fresco on our ginormous private patio. It was a tad chilly, but it was lovely. After a big lunch, we chose to skip dinner and tried out a good place for margaritas and chips. We chose Tomasita’s, in a restored railway station building, and enjoyed walking there and back. The Staircase! Two 360-degree turns. Miracle or not, it’s beautiful. Exterior of Loretto Chapel. The orange building to the right is the Inn and Spa at Loretto. Flight of Bubbly? Yes please! A perfect lunch on the patio. That’s it. 🙂 We drove non-stop to Austin the next morning, and are enjoying being home again. Author sheila365Posted on 03/11/2018 03/15/2018 Categories Family, Field Trip, Food & Drink, Fun, inspiration, Life, Nature, Sky, TravelsTags 365 project, birding, bright angel lodge, catalina mountains, catalina state park, desert museum, family, grand canyon, historic route 66, inn and spa at loretto, loretto chapel, luminaria, meteor crater natural momument, mission of san xavier del bac, palacio cafe, photoblog, photography, randall davey audubon center and sanctuary, roadtripping, saguaro national park, santa fe, tomasita's, tucson, yavapai geology museum5 Comments on Simply a wonderful trip. Author sheila365Posted on 02/22/2018 Categories Critters, Fun, inspiration, NatureTags 365 project, backyard birding, birding, carolina wren, CARW, central texas, feathered friend, photoblog, photography2 Comments on Wrens about. Yesterday, before the sun came up, and with a 16 foot long bag of pole-vault poles strapped to the roof of my car, I took Irene and Jeremy to the airport for their flights home. I could have begun my 6 hour drive home right then. But I had one more thing I really wanted to do in Lubbock before I left — to find a burrowing owl. I had to wait for the 7:30AM sunrise to do it. So, I went to Starbucks to kill some time, and then scoped out a couple parks. Author sheila365Posted on 01/29/2018 01/29/2018 Categories Critters, Field Trip, Fun, inspiration, Life, NatureTags 365 project, birding, burrowing owl, life goals, Lubbock, mackenzie park, photoblog, photography2 Comments on Home again, home again. Author sheila365Posted on 01/25/2018 Categories Critters, Field Trip, Fun, Life, Light, Nature, TravelsTags 365 project, birding, buddy holley, Lubbock, Lubbock cemetery, photoblog, photography, road trip, wind turbines1 Comment on The Hub City. Apologies for all the bird pictures of late. But I’ve had a lot of birding moments since the new year began, so they dominate my thoughts. This one was sweet. 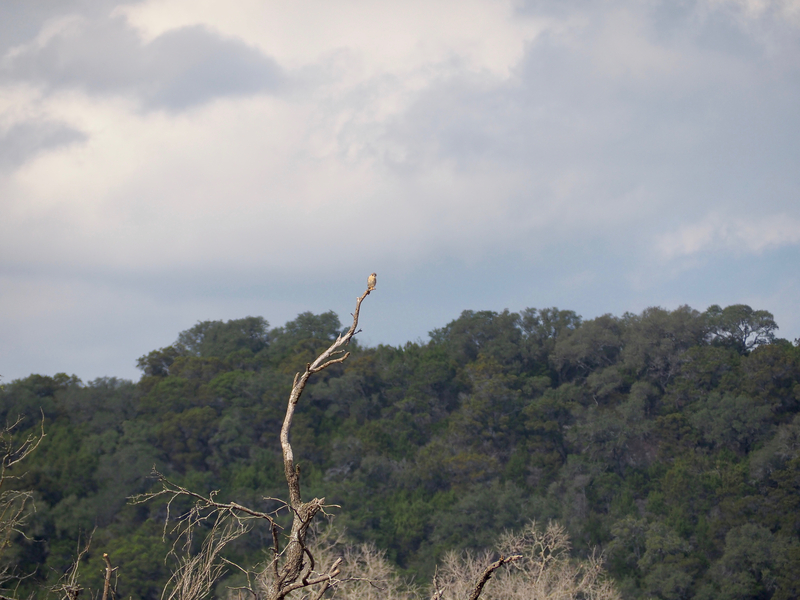 I visited Pedernales Falls State Park today, which has a wonderful pair of bird blinds. While I was inside one of the bird blinds, a little ruby-crowned kinglet hit the roof and fell inside the bird blind. He was stunned, and stuck in a narrow opening in the wall. I picked him up and set him on the floor. He eventually got his wits about him again and flew off. It is rare that I can even lay eyes on these guys long enough to identify them. So I enjoyed getting an up close look at this little one. I had my telephoto lens on my Olympus, so I had to take this macro shot with my iphone. So tiny! Author sheila365Posted on 01/11/2018 Categories Critters, Field Trip, Fun, inspiration, Life, NatureTags 365 project, birding, central texas, pedernales falls state park, photoblog, photography, ruby-crowned kinglet1 Comment on Close encounter. American Kestrel. Commons Ford Park in Austin. Sometimes this is the best shot you can get. Author sheila365Posted on 01/08/2018 Categories Critters, inspiration, Life, NatureTags 365 project, american kestrel, Austin, birding, central texas, commons ford, photoblog, photographyLeave a comment on I spy. I got a few up close shots of a wood duck yesterday. What a colorful creature. Author sheila365Posted on 01/05/2018 Categories Critters, inspiration, Life, NatureTags 365 project, Austin, birding, central texas, photoblog, photography, wood duck1 Comment on Pretty boy. I went for a hike today around our neighborhood greenbelt and pond. I came across this white-throated sparrow, who posed just long enough for me to raise the camera, focus and press the shutter. It’s a rare thing for me to have the sun at my back when I try to get an unexpected shot off. It’s a pretty bird, with an even prettier song. By the way, “lifer” just means it is a first in my lifetime sighting of the species. Author sheila365Posted on 01/03/2018 01/03/2018 Categories Critters, Fun, inspiration, LifeTags 365 project, Austin, birding, central texas, photoblog, photography, white-throated sparrow2 Comments on First lifer of 2018. Birder’s track the number of bird species seen in their lifetime (a life list), and also keep track of those seen in a given year. Sometimes, a birder sees an incredibly large number of species in a year, which is lauded as a “big year.” This past year, 2017, was my first year of really paying attention to birds. I have sought them out, listened to them, tried to lay eyes on them, and have learned much. And…I am happy to tally 167 species that I have seen in 2017. Not a big year, really, but a fantastic one in my book. I can recall where I saw each of these birds this year; some, but not all, captured on film. I look forward to more birding in 2018. Here is a pic of a some of my common backyard birds on the fountain today. Temperatures have been in the 20s for a couple of days. Since the pump keeps the water moving, it is the only unfrozen source of water in the yard. I see two female house finches, three male lesser goldfinches, and a female northern cardinal. And, there they go. You have to be quick to capture the birdies. Author sheila365Posted on 01/02/2018 01/06/2018 Categories Critters, Fun, inspiration, Life, NatureTags 365 project, backyard birding, birding, central texas, house finch, It's cold outside, lesser goldfinch, northern cardinal, photoblog, photographyLeave a comment on My modest year. Author sheila365Posted on 12/04/2017 Categories Critters, inspiration, Life, NatureTags 365 project, backyard birding, birding, central texas, Cooper's hawk, photoblog, photographyLeave a comment on Backyard visitor. Author sheila365Posted on 10/11/2017 10/11/2017 Categories Critters, Fun, inspiration, Life, NatureTags 365 project, birding, palm desert, photoblog, photography2 Comments on Desert bird report. With the Cooper’s hawk flying through regularly, my backyard bird activity has dropped significantly. But the resident Downy woodpeckers are not phased by it. I have at least one male/female pair. They frequent the feeder all day, every day. This is a photo of a female downy woodpecker (DOWO) on the finch feeder. They love to pick the sunflower chips out of the mix. Downy’s are notoriously difficult to ID versus the similar looking, but larger, Hairy woodpecker species. In this photo, though, you can see a couple of the markers that confirms it is a downy: the relatively short beak, and the black flecks on the outer white tailfeathers. Here’s a link to Audubon guidance on differentiating the two species. Author sheila365Posted on 09/29/2017 09/30/2017 Categories Critters, Life, NatureTags 365 project, Austin, birding, central texas, downy woodpecker, photoblog, photography4 Comments on DOWO.